Today’s lesson seed focuses on providing kindergarten through second grade students with a hands-on opportunity to demonstrate their understanding of shapes and shape manipulation. 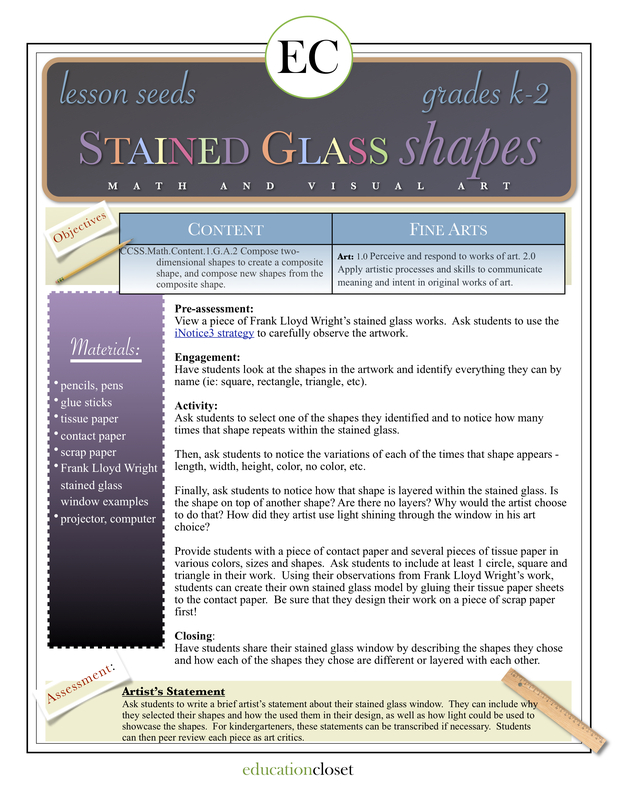 In this lesson, students use the work of Frank Lloyd Wright’s stunning stained glass window designs to identify shapes and their various interpretations. Additionally, students create their own stained glass window using their knowledge of shapes and two-dimension composition strategies. This lesson uses the iNotice3 strategy that we shared this week as an avenue into using observational skills to improve cognitive awareness and application. It is critical that we allow our students to “play” with the arts and not just show and tell the work. 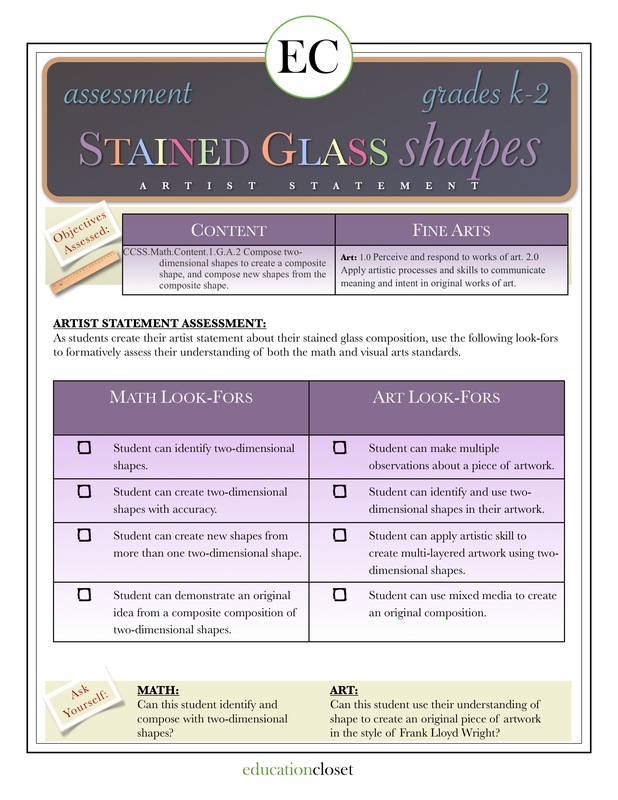 Enjoy the beautiful designs that accompany this lesson when used with your youngest students!